You must not travel abroad for more than 450 days during the 5 years period. You must have been granted Indefinite Leave to remain (or lived in the UK for 6 years if you are a European national. You must have been abiding with the UK immigration laws in the UK. European citizens and their non-European partner who has resided in the United Kingdom for 6 years or more can also apply to Naturalise. They must show that the European citizen has continuously exercised his or her treaty rights in the United Kingdom as a worker throughout the whole period of their residency. Subject to where and when they were born, some children below the age of 18 may be automatically British by birth. If they are not born British, in some circumstances, children born in the United Kingdom can submit a Registration application to become a British Citizen. Children under the age of 18 can apply together with their parents or independently. Once your application has been granted, you can proceed to apply for your first Adult or Child British Passport. Westkin understands that this process can be stressful for an applicant. 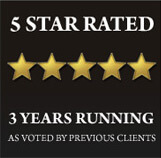 We aim to provide service which is stress free with a clear management plan accommodating our clients from the outset. 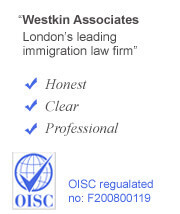 Westkin will assist with preparing the application as well as certifying our clients’ passport which will allow them to retain the original throughout the application process.